It’s been a busy holiday week. However let’s not forget that the New Year is right in front of us. We know that YOU want to become the best you, and have major success next year. The thing is, that any of this content from our leaders this week will allow you to have your best year ever. But first you have to consume it, and then act on it. We’ve put it all right here in once place for you to do just that. Take some time and go through this content and come out of the gate running in 2018!! Ron Gelok is an ever-inspiring dude, and he had an inspiring message for the MLSP community on Christmas day. The holidays are a time of gift giving, and we all enjoy that part. Yet we forget about the important gifts that we have every single day, and Ron shared the gifts that he cherishes the most. This is a guy who’s built a business through attraction marketing and mastering social media marketing. He’s been able to go from working and breaking his back in a candy factory, to living the dream, working from home, and setting himself and his new family free! Probably because he has the right mindset that he shared on his special Christmas Day MLSP Wake Up Call below! When Keysha Bass got laid off from her job, she made a decision. She said YES to starting her own home business. After years of college and six-figure career that decision seemed crazy to many. And she could have easily just said no and went off to another job with her credentials. But that’s not how Keysha operates. And now because of that decision she’s not only changed her own life, but she’s changed tons of others as well. She’s become a master at recruiting people on Facebook and marketing as a whole. And she’s a daily inspiration inside our community. Why the ‘Just Say No!’ campaign of the 80’s backfired and what it can mean for YOUR life & business! Why YOU should just start saying YES, and how it can change everything for YOU! How saying YES benefits other people’s lives besides just your own! The magical thing that happens to your BRAIN when you just say YES! '10 Things You Need To Drop To Stay Motivated In 2018′! With 2018 rapidly approaching, it’s time to start thinking about how you’re going to make next year the best ever. Most of that has to do with your level of motivation and your ability to sustain it throughout the year. If you’ve ever found yourself saying “I have no motivation” as you get deeper into the year, then there are a few things that you’ll want to drop so that doesn’t happen in the coming year. Steven Rachel is a leader in this industry for a reason. Because he’s figure out the things about himself that cause a lack of motivation. More importantly, he’s figured out how to turn that around to his advantage. He showed exactly how on Wednesday’s MLSP Wake Up Call! Why you’re setting yourself up for failure by believing you’re entitled to success. A hidden physical factor that’s killing your chance of success and the proven ways to combat it! The secret trick to comparing yourself to others… so that it’s a positive rather than a negative activity! Why right, now we’re living in the best time EVER to create home biz success! The surprising truth about excuses that most people will never tell you! Steve headed over to the MLSP Facebook page and fired up the LIVE broadcast to dig even deeper into the 10 ways to get and stay more productive in 2018! You’ll want to watch this replay so that you completely understand these points. Ryan Cody McMorris has a unique understanding of business and marketing. One way that he’s unique is that he’s always ahead of the curve. Always 2 steps or more in fact. While most home biz owners are feeling the opposite, he’s already on to what’s next. In other words he’s already “been there and done that” with what’s working now. Like a champion chess player, he’s ready for the next 2 or more moves . This has created a level of home business success for him and his family at very rapid pace. The great part is that YOU can start moving ahead of everyone else too. You just need to take the actions that cause that to happen. Luckily for us, Ryan shared exactly what you need to be doing on Thursday’s MLSP Wake Up Call! The Tom Hanks movie that will make you understand the ‘two steps ahead’ game! The key things that will change YOU, and make you a different person in a year, 5 years, and a decade from now! How to tell if you’re already behind, and the action steps to take starting today to get ahead! Ryan didn’t waste any time to dive further into this extremely important concept when he jumped over to the MLSP Facebook page and went LIVE!! With what he shared on the WUC and his corresponding FB LIVE, you’ll be well equipped to get ahead in 2018!! ‘The 3 Biggest Killers of Entrepreneurship'! Creating success with a home business is not always easy. There are obstacles that will constantly get in your way, in attempt to block your success. Ron Gelok was a guy who was able to overcome these things, and then go on to create a successful home business with attraction marketing, and of course a strong mindset to persist through the obstacles. 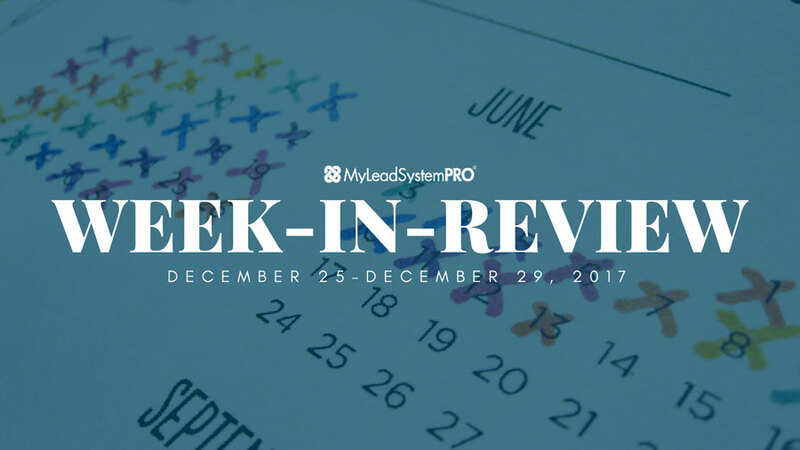 On Friday’s Wake Up Call he revealed the 3 biggest killers that you’ll have to blast through for success in 2018! The #1 thing that can cripple your business, and how to tackle it when it creeps up on you. 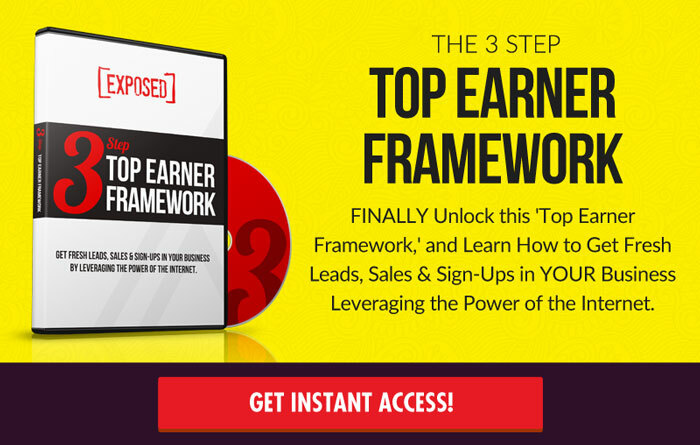 How to become the person that is fired up and moving forward in your business! Today is the Day To Get Serious! The New Year is here. Your time is now. The time to take action is now. But you must have the right mindset to do that, and the content above is a great start. The good news is that this same type of content will come at you for FREE each and everyday of the week through MLSP. The MLSP Wake Up Call and the daily Facebook LIVES that follow will keep your mindset primed to get through each and every week. You should make it daily habit. When you do you can start seeing Success Stories just like our members post on a daily basis. Click Here to See This Week’s Success Story Saturday Post!